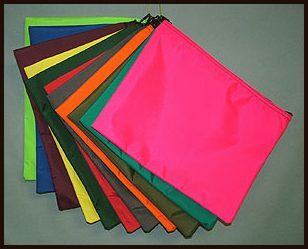 These style bags are commonly used to pick up or transport mail and papers. Their use is by no means limited to that! 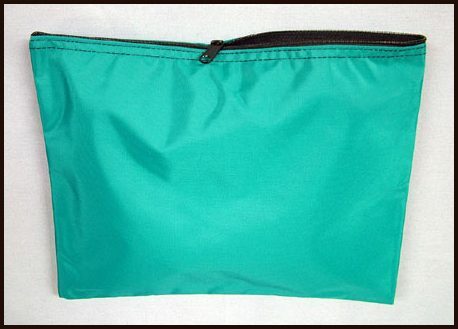 They are made from very durable and rugged 420 denier nylon, with a nylon coil zipper. They can be used in hundreds of applications where a lightweight water resistant bag may be needed. The bags shown here are approximately 10 inches high by 13 inches wide. They can be made in a wide choice of colors and any desired size. We can also sew on a framed clear window for easy bag identification. Bags can also be printed. Please inquire with any special needs or requests.